The priority value specified on tabs allow youto set an order to show them in product detail page. When you assign a priority value to the tab, consider the values already used from WooCommerce tabs. For example, if you wanted your new tab to be shown among “Description” and “Additional Information” WooCommerce tabs, you should insert a priority value ranging from 10 to 20. The last step is to select the layouts in “Layout” section of the new tab settings dashboard. 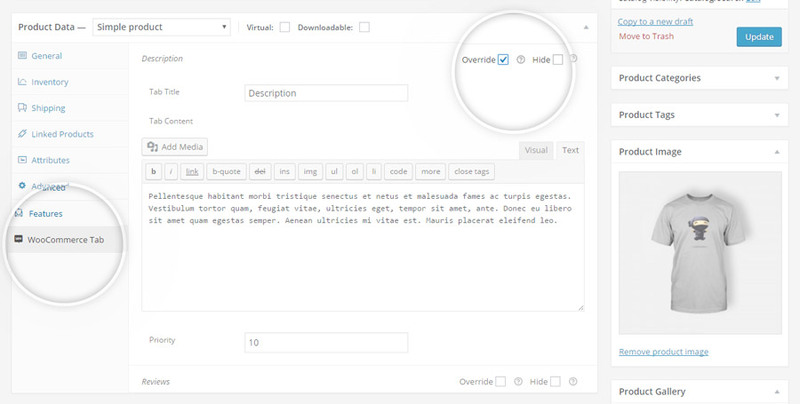 After selecting the typology, you can choose to show a singular content for the tab on all products, or to customize it right inside its configuration page. For the first case you will need to enable “Use the content for all products” field and insert the content in the specific section in the page. 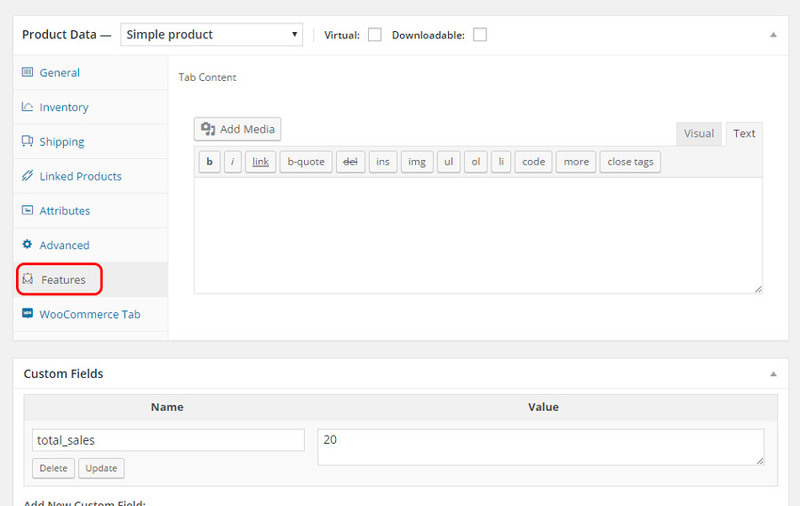 On the contrary, tab is enabled on all related products (depending on selected tab typology), but it will be shown only after setting its content in product configuration page. For all available details about layouts, please visit this page. For each product of the shop the plugin gives you the possibility to hide WooCommerce default tabs or to change their contents. You must go to “WooCommerce Tab” section of product configuration page and select the operation.